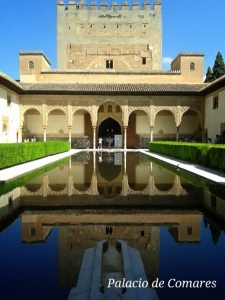 The Alhambra is a Moorish Palatine town in Granada, Spain. 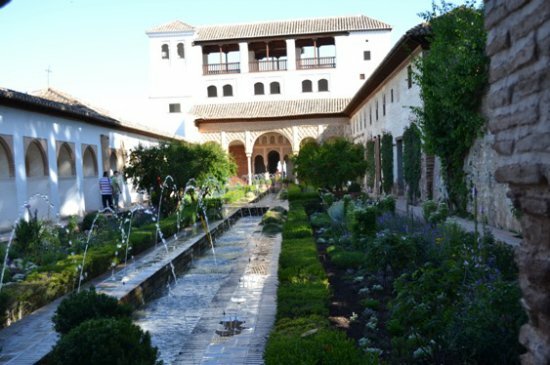 It`s a rich palace complex and fortress that housed the monarch and the Court of the Nasrid Kingdom of Granada (XIIIth – XVth centuries). 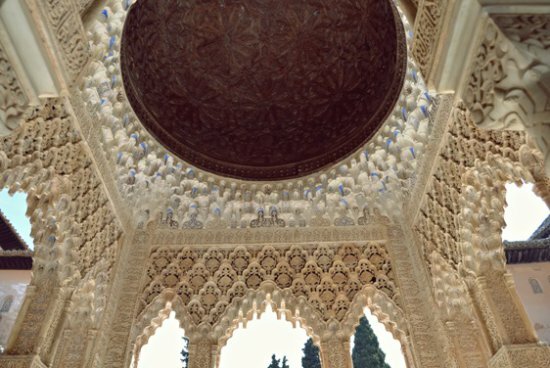 Its real appeal, as in other Muslim works of the era, lies not only in interiors, whose decoration is among the peaks of the Andalusian art, but also in its location and adaptation, generating a new landscape but fully integrated with the preexisting nature. 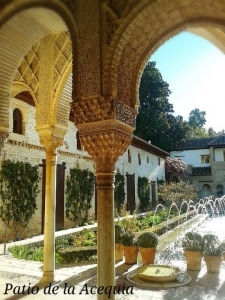 It had in its time for everyday use a sophisticated hydraulic system consisting of ditches, canals, wells, Ferris wheels, ponds, wells and fountains, and to which progressively joined other palaces and Royal almunias, the Generalife and its grassland, the Alixares. 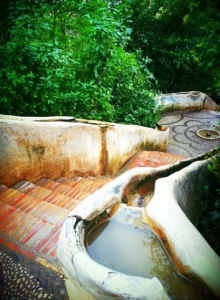 Today we can still find parts of the hydraulic system, which is preserved and restored. 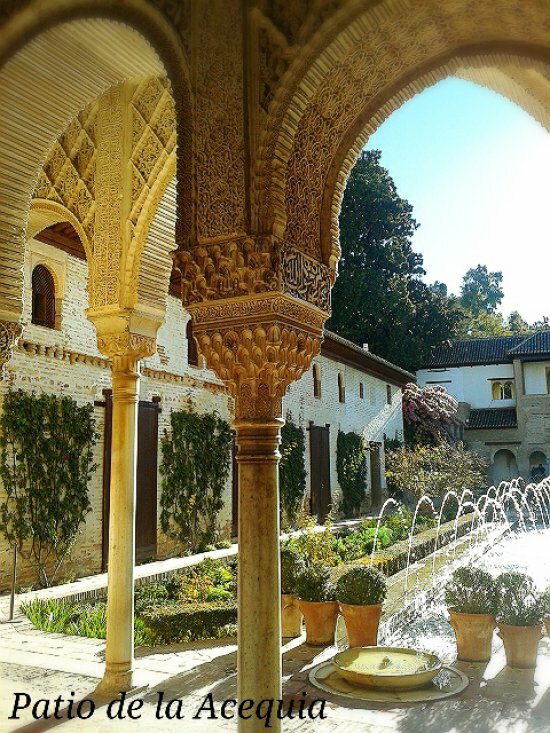 The monumental complex of the Alhambra and the Generalife is formed by a large territory with 655,000 m² that can be visited and which includes buildings, gardens, walls, forests, orchards, virgin land, ditches and archaeological remains. 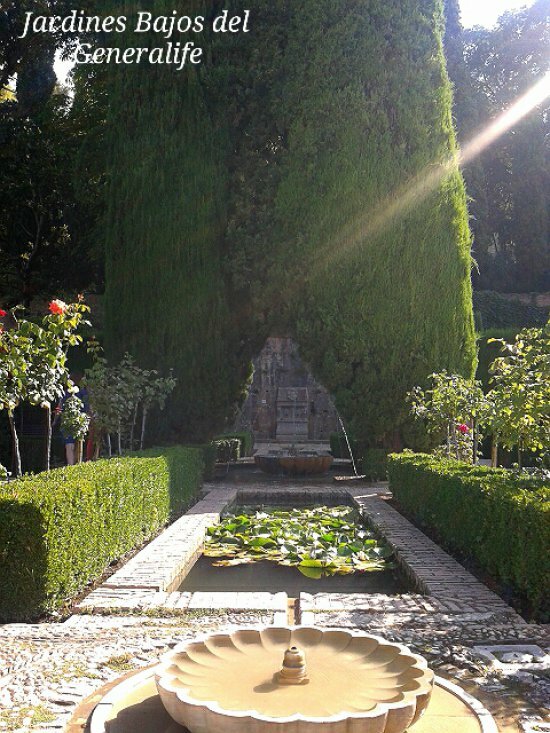 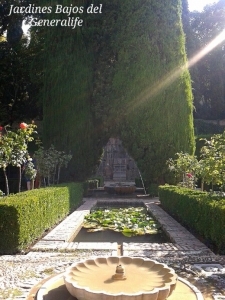 It consists of a walled enclosure with a surrounding territory in which there are inseparable from the Alhambra architectural elements, as the popularly known forest of San Pedro and the meadow of the Generalife to crown the Hill of the Sun. It is located on the Mount of the Sabika, from whose height (100 meters above the city) dominates the city of Granada. In 2011 it became the most visited monument of Spain, receiving the historical figure of 2.310.764 visitors.